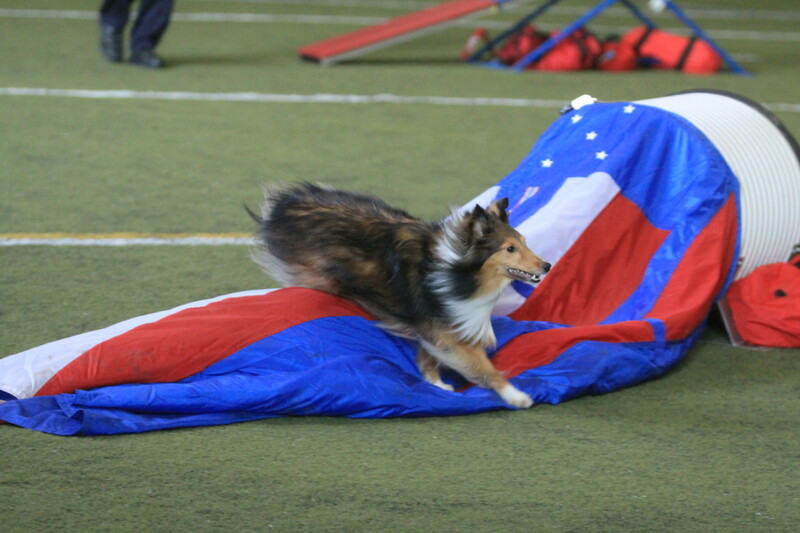 Anyone involved in dog agility in the United States recently has heard or read the debate between those that want our sport to include harder challenges and those that want the sport to remain the same. Some of these debates have gotten rather heated. Good justifications abound on both sides, but for this blog, I am going to focus on one specific argument. Those in the camp against harder challenges often point to the fact that most agility competitors in the US are older. 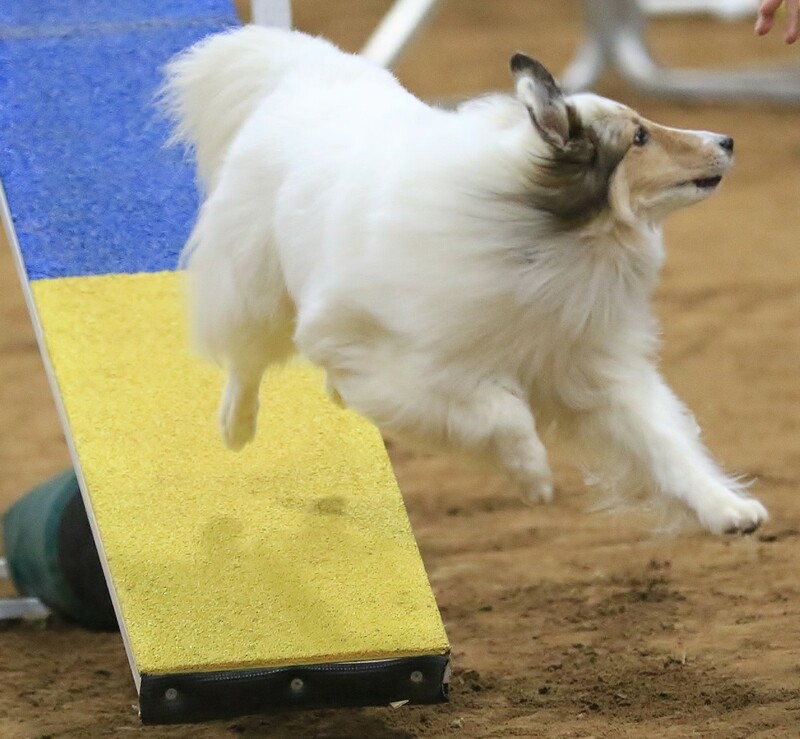 Most of the money supporting agility comes from these older competitors, and more and more older competitors join the ranks of agility as they become empty nesters or they retire, finding themselves with extra time and money to finally pursue their dog training dreams. These older competitors are often facing physical limitations that keep them from running. The newer "challenges" (sometimes called International challenges or Euro-style agility) seem to require that the handler run close to their dogs for successful execution. People against incorporating these newer challenges into agility argue that they can't be trained at distance. The "pro new challenges" camp will often argue that these challenges can be trained at distance. They say that with proper education, those who can't run well can still execute these challenges with regular success. 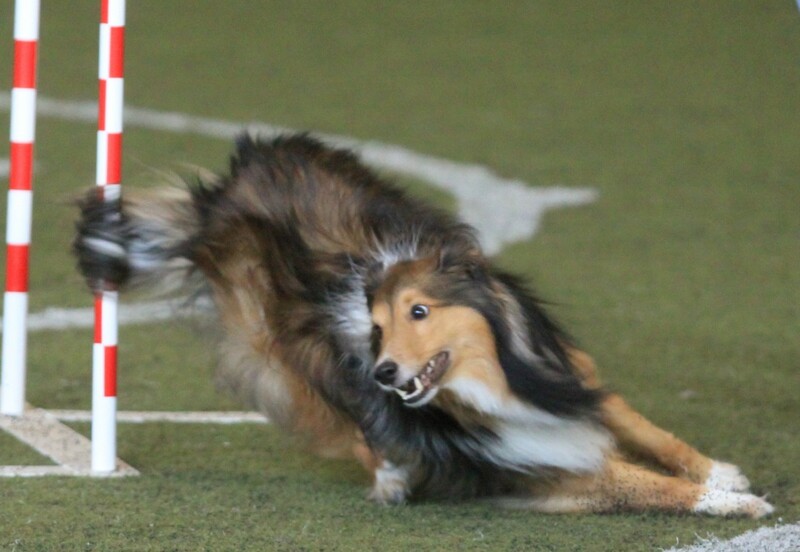 If I am known for anything in agility, it is the distance skills I have trained on my Shelties. I can't run. I do a sort of stiff trotty thing, making me look like a short, stubby, walking tree. Because of a myriad of health issues, I will never run well. Fortunately, I didn't let this stop me when I first started agility. Instead, I taught myself how to train my first sheltie to handle at distance. This was in the early 2000s when courses were much easier to handle at distance. 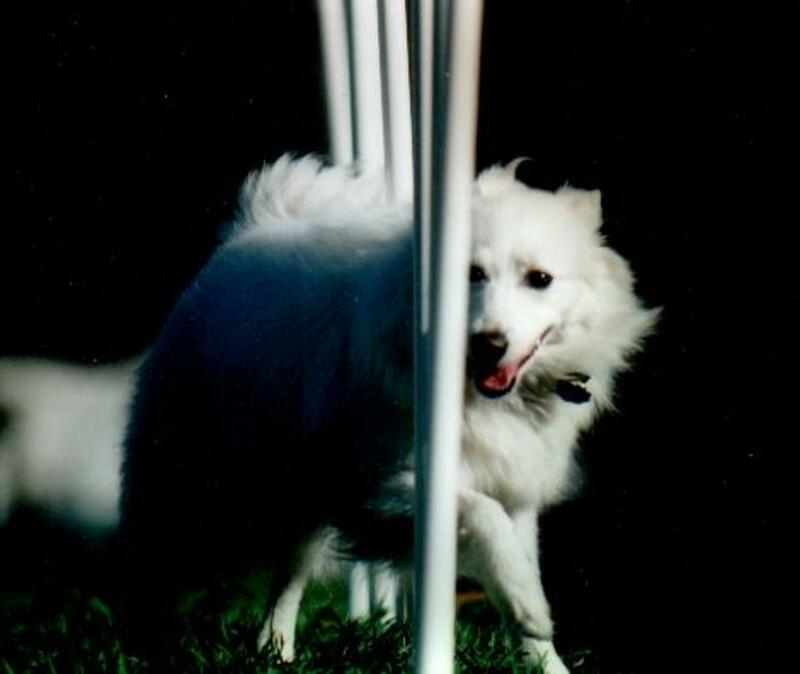 Since then, I have trained two more shelties to run at distance, attempting to up the distance bar with each dog as agility has continued to progress and challenges have become more difficult. 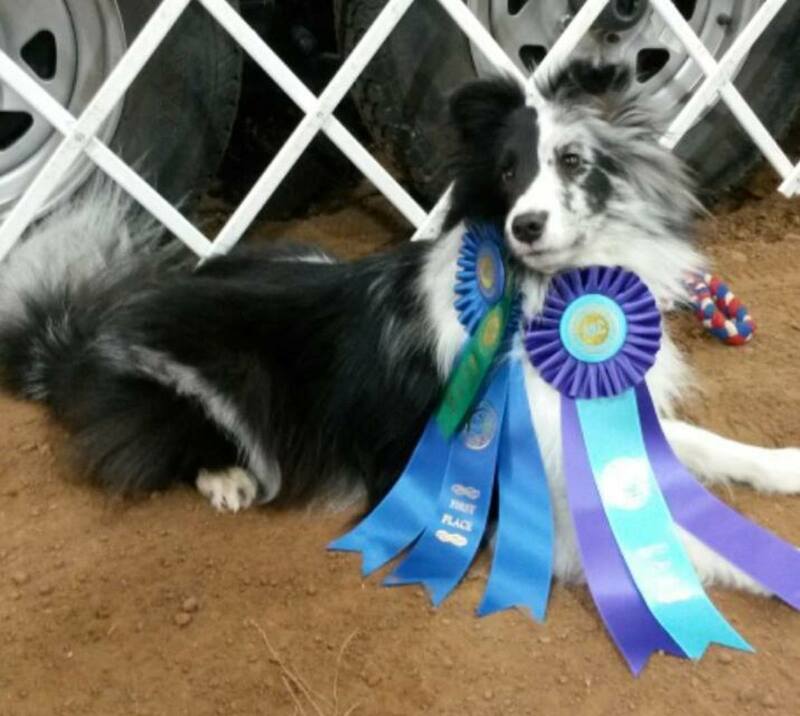 I have had success, qualifying a dozen years for the AKC Agility Nationals, running in the Challenger's class, and qualifying for other agility venues nationals as well (USDAA and UKI). In other words, I have quite a bit of experience training distance and can speak with some authority on the topic. Because of my experience with distance training, I can easily say that both sides of the argument are right - and both sides are wrong. Can the new challenges be trained at distance? Yes. They can. However there are a host of "ifs" attached to that "yes." Depending on a person's disability and a dog's speed, varying levels of distance need to be trained. If I can run but my dog runs faster, I may only need to train 10 - 15 feet of distance. This is done easily with just months of extra work. However if I can't run well, but I have a super fast dog, I may need 30 to 50 feet of distance. This is not done easily even on an open course. Add in the extra challenges of push backs and threadles, and it is nearly (but not completely) impossible. To make it possible, it would take years of practice ON TOP OF WHAT OTHER TEAMS TRAIN, and you would need the right dog - preferably a breed or mix that is naturally comfortable working away from the handler. The biggest problem with distance training is that it is hard. I train 10 times more often than the average competitor who runs right with their dog. I can never put my older dogs on "maintenance" (i.e. train them only once a week and still hold skills). They have to continually be drilled to keep their distance skills. I have to train everything at distance from simple sends to push backs to lap turns to contacts to 270s to wraps to weave entrances to... you get the idea. I teach the behavior right on the obstacle first, which usually takes just a few days to a few weeks depending on the behavior. Then I have to put it to distance. For me, I need about 30 - 40 feet. This training takes years. Then add in the difficult "Euro-style" skills, and you are talking inordinate amounts of training time. Let's be honest. Try layering a push back with a breed other than a border collie. It isn't easy. Shoot. It isn't easy WITH a border collie! 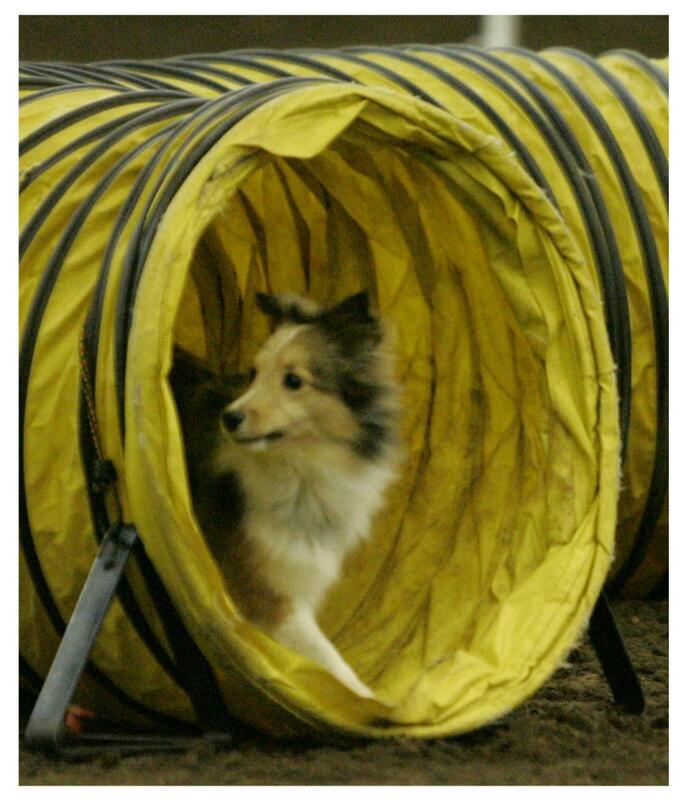 Most people who compete in agility have real lives. I pretty much don't. 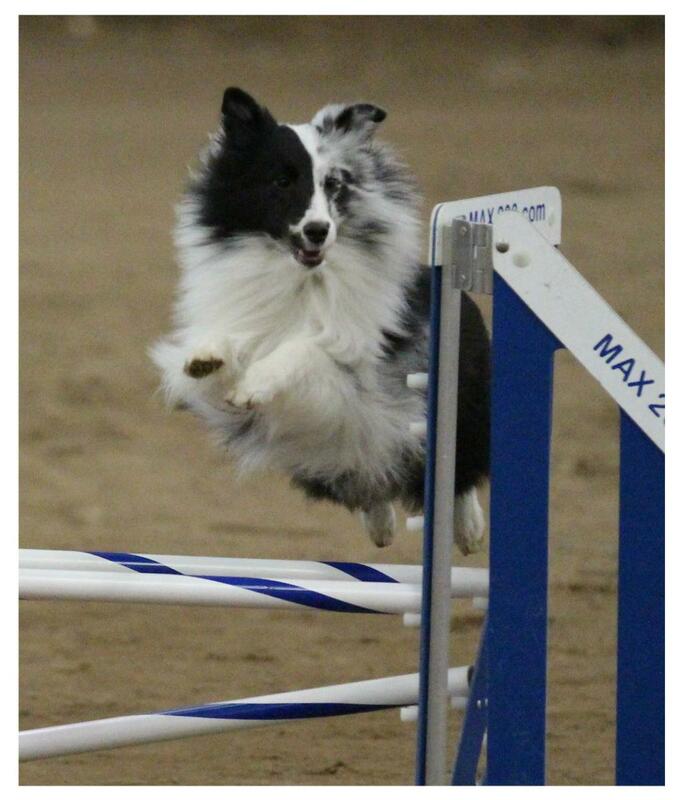 I teach agility for a living, and I can schedule my days around my agility practice time. Others with physical limitations have "real" jobs. When they get home, they have family obligations. They cannot spend an hour a day training. Their lives just don't allow it. Extreme distance with new challenges becomes an impossibility for those already struggling to find the time just to get basic skills trained. Those who are arguing for the new challenges often say, "Yes! These challenges can be done at distance." They are right. They CAN be done at distance, IF you devote your life to training them or if your team's distance requirement is only 10 to 15 feet and/or you have a breed that naturally works away from you. But for those who need 20 feet or more of distance and who actually have real lives or a dog not natural to distance, this type of training is usually not in the cards. Another huge issue I hear all the time from people with physical limitations is that instructors in their area don't know how to train for distance. 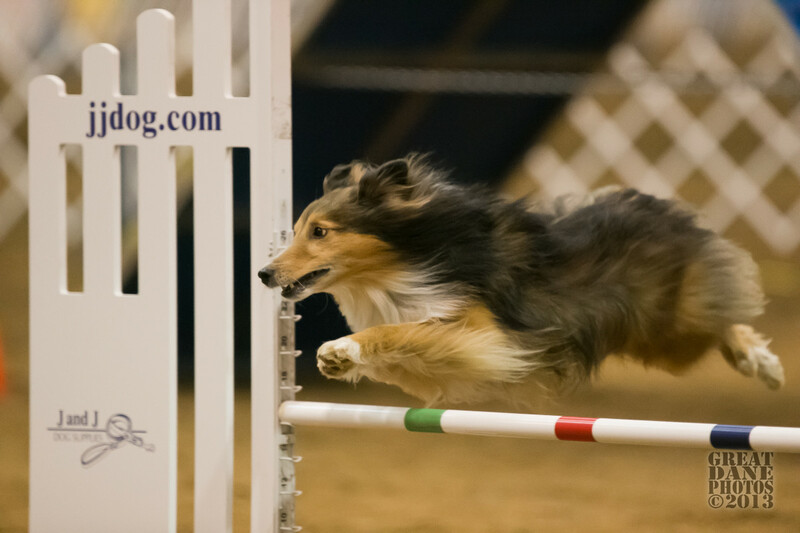 Often local agility instructors train their students in the method or handling system they know. Branching out to learn how to instruct different methods is difficult, time consuming and beyond many instructors. If an instructor runs right with their dog, chances are high they will teach their students to run right with their dogs, even if the dog has to slow down to run with the student. Teaching extreme distance would be beyond many instructors' knowledge base. The lack of instructors who REALLY know how to train for distance is a big issue. Why? Because at its core, agility isn't about who Qs. It isn't about who wins. It isn't about any of that. It's about what agility gives back to the team. This is best expressed in those teams that struggle against big odds. 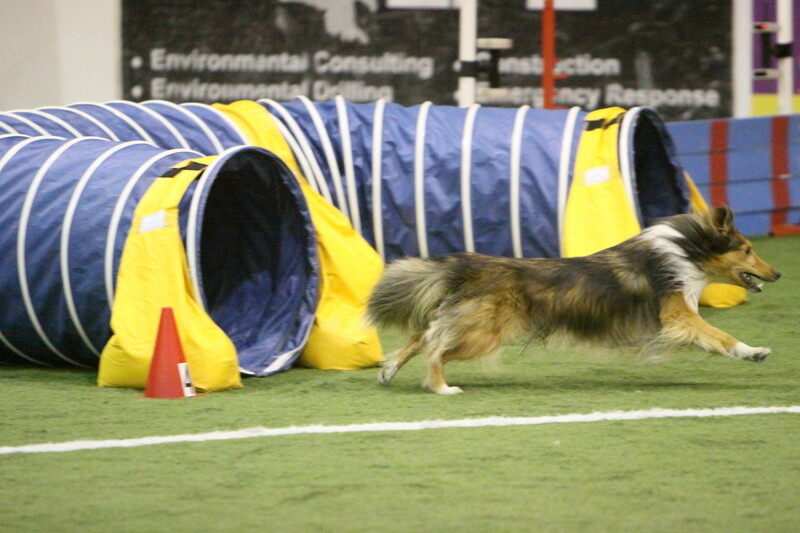 Competitors with physical issues receive real life health benefits from doing agility. Yet if a team can't compete with some level of success, the motivation for daily training evaporates and the great health benefit disappears. Other benefits gained from agility for those with physical or emotional limitations include social interaction, time out of the house, improved mobility, a super bond with their dog and increased self esteem. If a person in a wheelchair can't find a local trainer who can help her train distance with her fast dog, she will not get into the sport and will not gain from these great benefits. All of these benefits are present for the canine partner as well. Aside from the lack of local trainers who can train distance, it appears to me that seminar presenters very seldom focus on distance skills. Most clubs and schools who host seminar presenters look to World Team members or similar competitors. These are talented, often athletic handlers who have learned how to navigate today's most difficult challenges. The ones I know are great people. However I have yet to see a seminar presented on how to handle today's more difficult challenges at distance. (There probably HAS been such seminars. I just haven't seen any.) I have seen lots of seminars on handling these challenges with your dog right by your side or 10 feet off of a jump. I have yet to see one focus on big distance. It may be that some of these instructors truly don't know how to train such distance without a natural distance working dog, but I suspect that many can do this or learn how to do this. It's not their focus though. Distance isn't their "bag." Therefore, seminar presenters tend to focus on what they do best, and what these athletic instructors do best is handle with their dogs nearby (within 15 feet). One of the other issues with the lack of "distance handling for today's challenges" seminars is that many who have learned to do distance have done so because they have physical limitations. This often precludes them from instructing full length, weekend seminars. Their health won't allow it. There are a few, but the list of names capable of presenting a seminar on distance handling is short. In addition, distance handling is not in vogue. Running right up to a jump and twisting IS in vogue. Seminars focus on what is popular. Running, twisting and spinning with your dog looks very cool, and it's what people want to look like. Handlers sometimes don't take into account that they are in their 50s with sore knees and extra weight. Instead of seeking out a handling method that best fits their strengths and weaknesses, they seek out the trendy handling instead. Agility has been "trendy" like this since I began the sport in the 90s. A distance discussion wouldn't be complete without a quick mention of NADAC. Many are now probably thinking, "Yes, but NADAC offers distance for handlers with physical abilities. They can compete there." There are a few problems with that. NADAC is not offered in many areas of the country, and if it is offered, the opportunities to trial are few. Second, NADAC type courses and rules don't appeal to many competitors. It just isn't an option for a lot of teams. Another issue with being able to handle the new challenges at distance is course design. If a course designer puts a reverse threadle on one side of the course, runs the dog four or five jumps across the ring and puts another reverse thread there, then it completely rules out a physically limited handler from having any hope of being successful on that course. There are athletic handlers or handlers with slower dogs who may find such a challenge thrilling, but it makes agility a frustrating, impossible endeavor for those already facing daily physical challenges. I compete mainly in the venue I do because it has taken into consideration the needs of both athletes and those with physical limitations. Courses can be designed with the new challenges without "testing" for how athletic the handler is. I personally love running these well designed courses as do those who compete internationally. It allows everyone to happily play. While course design may not be able to accommodate absolutely everyone, it should allow as many competitors of different physical abilities to compete with success and yet allow for difficult handling challenges. "Testing" for physical ability (i.e. can you run fast) should not be a part of it. "Testing" for handling and training should absolutely be there, including all the new challenges. Can today's challenges be consistently executed in competition at large distances (25 - 40 feet)? Yes - with no more training than anyone else. Yes - with a bit of extra training. Yes - with a lot of extra training. No - the challenges are too hard for such extreme distance. Agility is for the athlete. Those with physical limitations should do another sport. So can the new challenges be done at distance? Yes. But a mitigated yes. In today's agility, those with physical limitations wishing to compete have a big uphill climb. They must be willing to train 10 times harder than their competitors. If possible, they need to find a good distance instructor to work with. They need to become great trainers. They need to be more determined than the average bear. It can be done. It just isn't as easy as those who have never tried it may think. This op-ed piece is the first of four articles in "The Distance Series" by Agilitymach. The other articles will explain how she trains distance to her dogs. The last three articles derive from a series Agilitymach wrote for "Clean Run" magazine in 2009, but they will be updated for today's agility. You can click here to read the second article in this series, "How to Train an Agility Dog to Run with a Physically Limited Handler." If you would like to be notified when Agilitymach publishes a new article or blog, you can visit her page on Facebook (found here) and like it. 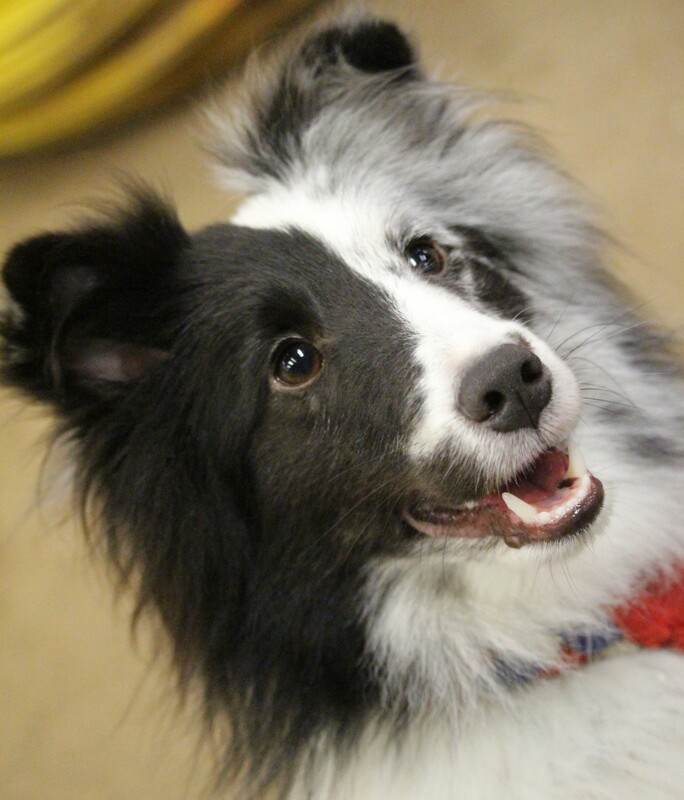 Agilitymach writes mainly about agility and dog training.